Sorry for the brief lapse! The In Parenthesis group have been busy behind the scenes but we keep forgetting to update you all. Last month saw us host Silvia Panizza for a departmental research seminar on ‘Moral perception beyond supervenience: a Murdochian perspective’ She then joined us for a reading group meeting on Iris Murdoch’s ‘The Sublime and The Good’. 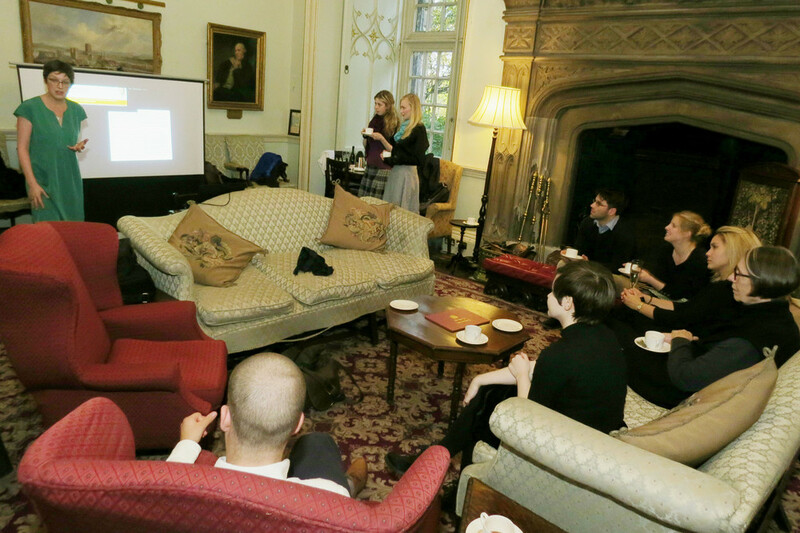 We also hosted a Cocoa Party in the Castle SCR. Here we are talking about the project with some of our wonderful students and colleagues. Yesterday our UG In Parenthesis reading group kicked off – more on this soon!